Should vertical programs be integrated into primary health care? At the 2018 Global Conference on Primary Health Care, world leaders affirmed that primary health care is central to achieving universal health coverage (UHC). This renewed commitment coincides with stagnating donor funding for health, which for decades has supported programs dedicated to certain diseases and health needs. These “vertical” programs have contributed to tremendous gains, but countries cannot indefinitely afford separate responses to each health need. And even the most successful vertical programs are finding limits to what can be achieved without better leveraging the broader system. Are governments to assume that integration of vertical programs with primary health care (PHC) is always best? When? Which ones — or which parts of ones? And what are the risks? Integration means different things to different people and goes beyond service delivery. Sometimes integration refers to coordinating, co-locating or simultaneously offering services for different health needs, and elsewhere improving continuity of care across the life cycle or levels of care. To Malawian stakeholders, integration is both many services under one roof and many services provided by one health worker. Integration is also about more than service delivery — it includes how care is governed, financed, advertised, and so on. For example, we heard in Ghana that the way the National Health Insurance Scheme paid providers (and its delays in doing so) led to low contraceptive stocks and discouraged providers from spending the time needed to fully counsel women on their contraceptive choices. Integration isn’t all-or-nothing or all-at-once. Few programs stand completely apart from the rest of the health system. In fact, some aspects are already partially or fully integrated, such as the nurse-led management of HIV care in South Africa’s public clinics while most government HIV funding is allocated through a special earmark outside of PHC budgets. Countries can decide which components of vertical programs to integrate first versus those where rapid changes could be too risky. For example, integrating immunizations into routine PHC services can increase access, but it may be wise to keep their procurement and supply chain separate, at least for a time, to leverage UNICEF’s pooled purchasing system and to ensure a robust cold-chain. We reviewed approximately 100 studies plus systematic reviews covering more than 200 additional sources, dating back to the 1970s. The evidence is…mixed. It does underscore that effects of integration are difficult to measure or isolate, and that integration is beneficial in some but not all contexts. Ultimately, the evidence is still insufficient for any wholesale endorsement of integration, though it provides some guidance for how or what to integrate. For instance, it’s clear that where critical inputs like capable health workers aren’t in place, integration isn’t likely to lead to better outcomes. Integration can’t wait for fully conclusive evidence, though. Systemic inefficiencies and the exigencies of donor transitions are already driving integration decisions. The good news? Tools are available to help determine the current level of integration and create road maps for possible further integration. We needed a way to unpack vertical programs in relationship to the broader health system. After considering various frameworks, we chose one from the Primary Health Care Performance Initiative (PHCPI) because it provides a coherent, thorough and detailed catalogue of PHC system components and determinants of performance. We validated its usefulness for understanding ongoing efforts in Ghana and Malawi to integrate family planning into PHC, as well as to catalog obstacles to and enablers of further integration. 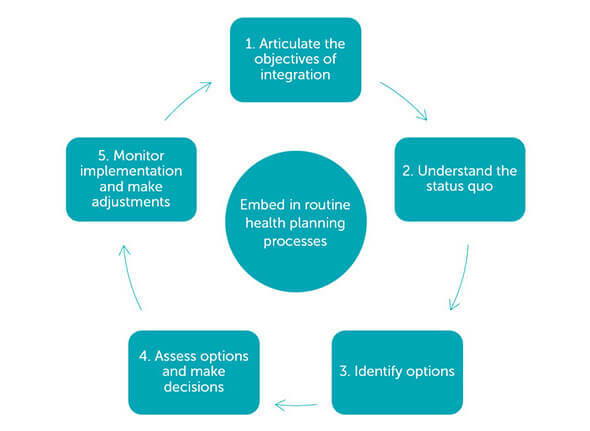 Our case studies highlight that further integration will require coordinated action across several health system stakeholders to, for example, promote greater buy-in for priorities and interventions that are technically sound and politically viable; encourage task sharing with community health workers for certain methods; and ensure contraception and counseling costs are accounted for in the design of benefits packages and provider payment mechanisms. So, what do we recommend? Ditch the magic bullets and walk along this path for good decision-making. Seeking to integrate high-performing, externally funded vertical programs with more fragmented, fragile PHC systems will be controversial. 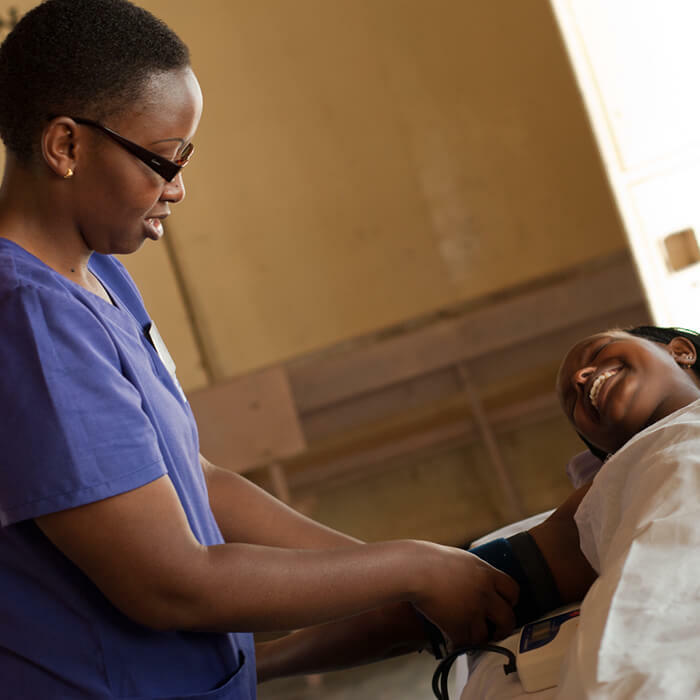 Proponents of integration should therefore clearly state objectives such as increased utilization, efficiency, quality, or equity of health services. Defining objectives carefully will help countries to frame the discussion on integration while clarifying and responding to the issues most important to vertical stakeholders. Decision-makers need to understand what is and isn’t already integrated before considering the likely effects of change. Here we find PHCPI’s conceptual framework especially useful for analyzing how a vertical program relates to the broader system. Considering a program’s strengths relative to the system will be useful. Vertical programs typically have superior planning, monitoring, and oversight to satisfy funding requirements, and they often engage more effectively with nonstate service providers. Taking stock of these assets will help decision-makers to craft integration options and impartially weigh their benefits and risks. Once the vertical program and its current relationship to the broader health system has been described in detail, options for greater integration can be developed and analyzed. Many options will entail partial integration while retaining some dedicated components. Ideally, integration options will be evaluated in relation to the status quo for potential cost, impact, and feasibility. However, health systems are complex, and it may be difficult to project the costs and benefits of integration. Tensions are also likely to arise between those responsible for the system overall and those championing specific health needs. In many contexts, it will be useful (or necessary) to look beyond cost-benefit ratios for options that secure political support and avoid risking major disruptions to outcomes previously produced by a vertical program. In rare instances, there may be arguments for rapid, wholesale integration, such as with the graduation of donor funding. However, the impetus for integration is generally foreseeable, and changes to the health system and funding landscape typically unfold gradually. It is essential to monitor each stage of integration to determine its progress, identify sticking points, and sound the warning bells early if adverse consequences begin to emerge. Integration is complex, integration is happening, and we are eager to test this approach across a range of settings and programs. We invite you to take a look at our more detailed report and case studies and let us know what we got right, what we overlooked, and what else can be done to support countries to navigate complex integration decisions ahead. Michael Chaitkin is a Senior Program Officer at R4D. Rebecca Husband is a Technical Advisor for Family Planning at PSI. Kim Longfield is Founder and Principal at Databoom.